Got bad news about the candy bowl full of coins that we offered to Baltimore’s retired columnist Michael Olesker if he would grace these pages on how we are handing his sacred Baltimorean list – the top 20 natives that you couldn’t tell the history of Crabtown without. He names them; we write about them. We argue about it. He wins or at least we make him think that and we move on. Anyway, on further inspection the cashew that was sitting on the bottom of bowl appears to be gone along with the roll of quarters that mysteriously disappeared last week. No clue on either. That’s what happens. Snooze you lose. We warned about that cashew in last weeks post. But no worries. Upon further digging in the bowl, we found another gem – a baseball card. This is a relic – not saying who it is yet, but we will admit it is a little imperfect so that might bring a little more value. It is partially chewed – probably from our Baltimore Post-Examiner Chocolate Lab mascot – Danny. Maybe that explains the cashew. Hopefully not the quarters. All yours for the taking if you do some giving – in the form of a comment at the end of any of these posts. And for those friends of Olesker, if you convince him to send us a note, we will give you the stuff in the bowl and you can divide it up with Olesker any way you want. You could keep the silver change and give Olesker the copper. Up to you. He might think it’s a better deal because he will get more coins. As you recall, we began with 20, and cut it to just Olesker’s dozen because we figured this “little bit of everything” website could fall apart at any moment because there are more lawyers than cases to be tried these days. Seems some attorneys have contacted us already and claimed we did our homework so we are safe for now. For the record, we have no money so we have nothing to give you. We might able to find another cashew if that would help and make you go away. To rewind a bit. The dozen is Olesker’s order of historical importance. Not ours. Hate mail goes to him. Not us. 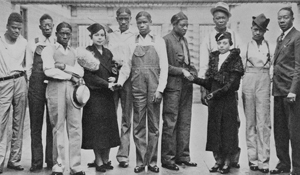 Those eight who didn’t make the Olesker dozen include: Kweisi Mfume, Joe Gans, Jerry Leiber, Lillie Carroll Jackson, Cab Calloway, Reuben Kramer, John Waters and Leon Uris. And now No. 8: Juanita Jackson Mitchell (1913-1992), the daughter of Lillie Mae Carroll Jackson, the mother of the civil rights movement. She graduated from Frederick Douglass High School, Morgan State College and University of Pennsylvania. Olesker has her ranked higher than momma. Wait a second. While we argued for Momma Jackson over Wolman last week, we won’t repeat the same argument. But let’s just remember Juanita was born in Hot Springs, Ark. OK, we realize, she is really a Baltimorean – spending her adult life here and becoming the first African-American woman to practice law in the Free State after graduating from University of Maryland in 1950. And anyone who graduates from a Baltimore school is a Baltimorean in our book. So she gets a pass. And certainly, her family has a long track record of public service. 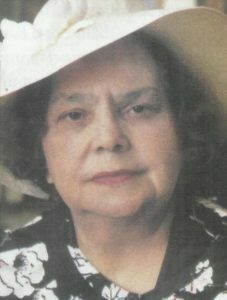 She married Clarence M. Mitchell Jr. Two of her children became Maryland State senators. She served as president of Maryland’s NAACP Baltimore City branch where she pushed for school desegregation and after the case in 1954, Brown vs. Board of Education, she was instrumental in helping Maryland become the first southern state to have integration and helped knock down Jim Crow laws desegregating restaurants, parks and swimming pools. Both President John F. Kennedy and Lyndon B. Johnson praised her public service and JFK named her to serve on the White House Conference on “Women and Civil Rights” and later LBJ appointed her to serve on the White House Conference “To Fulfill These Rights.” Mitchell was inducted, along with her mother, into the Maryland Women’s Hall of Fame in 1987. 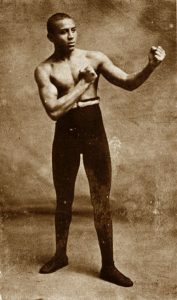 No doubt she was fighter, but let’s look at a real fighter that doesn’t make it in the top 10 – Joe Gans or Joseph Gant (1874-1910) He never gets the respect he deserves. He was the Muhammad Ali of his generation. Considered during his time, the greatest boxer of all time between 1891 – 1909. Not putting him on the list would be akin to not putting Ali in the top 10 of greatest athletes. He reigned as the champion from 1902 to 1908. OK, he quit in the 12th round against champion Frank Erne in 1900 because of a severe eye injury, but two years later in the rematch knocked him out in the first round. He died in August 1910 of tuberculosis and is buried in Mount Auburn Cemetery in Baltimore. His monument is at the main entrance of the cemetery. Both of these giants are part of Bawlamar’s great history. But it’s tough to argue with Mitchell’s contribution to Baltimore compared to Gans, although we might put her mother just a little ahead. But if Gans were alive, we’d say whatever he wanted. We enjoy being healthy. Let’s just say Mitchell’s mother can be proud that her daughter took the mantle and helped make Baltimore and the Free State really free. Isn’t that what all parents want – their children to have a better life than they did. She did that for everyone – both black and white.